RIVERDALE, New York (WABC) -- A group of children were rescued after falling into the Hudson River Thursday morning when the sailboat they were on capsized. They were part of a group of small sailboats from the Riverdale Yacht Club just north of the Spuyten Dyvil bridge. After the boat overturned, instructors pulled the children out of the water and into small power vessels. But, one of the vessels began taking on water due to the weight. 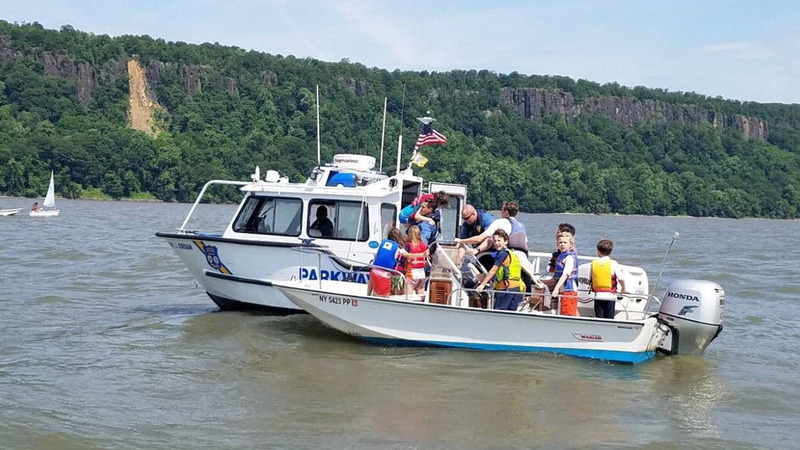 Officers from the Palisades Parkway Police Department arrived on the scene and put the children on their boat and brought them back to the yacht club. High winds and tide changes caused large river swells, which led to unsafe conditions for children to be using the small boats, police said.